Once again my friend Jan Cramer brought something along. Something with tubes this time. 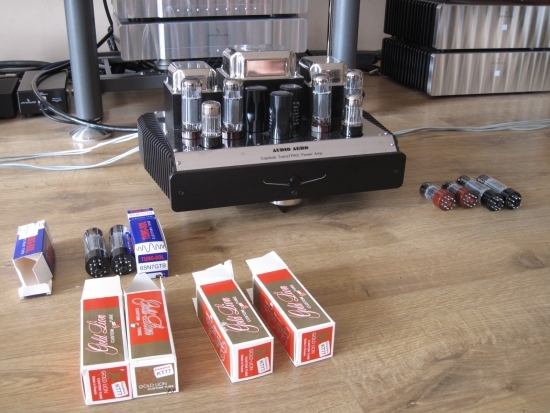 I have never been fond of tubes, not because I don’t like their sound, but because they can be so fiddly and prone to breakdown. This amp however is whisper-quiet and thus far seems to be entirely fiddle-free. Above: the TransTRAC has a little bit of “theater” going on: it is like a nice stage with players neatly organised. 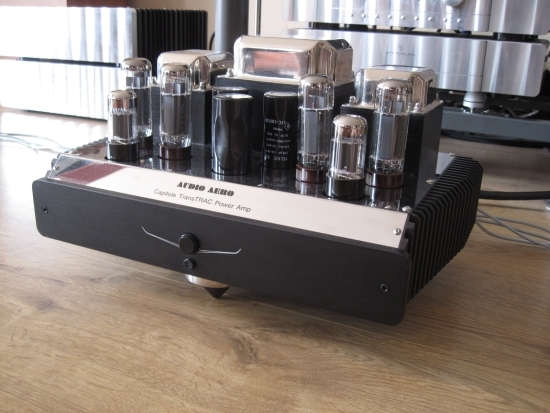 The TransTRAC is a hybrid tube/transistor amp. Not in the way you would expect but with transistors and tubes actually working in parallel. the power output stage. The power tubes are EL34 type and the transistors are DMOS-FETs. TransTRAC stands for Transistor Tube Relay Amplification Concept and what ever that means, apparently it works well! 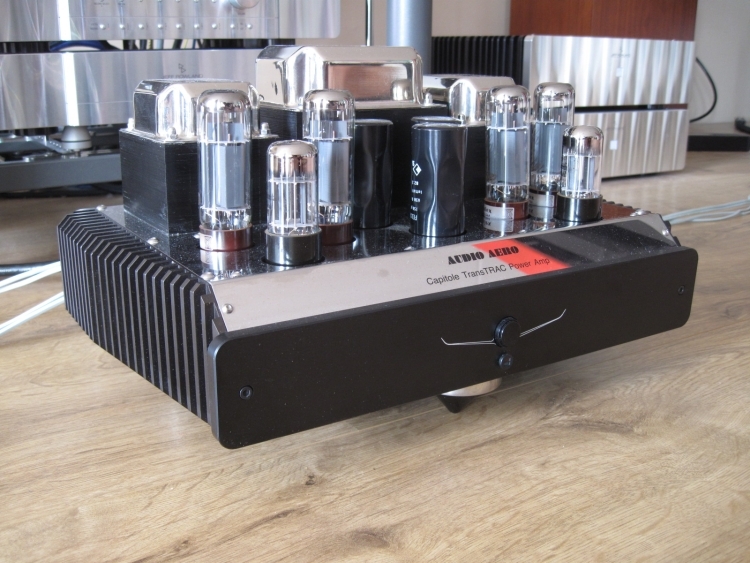 The amplifier has single ended and XLR inputs and is capable of delivering 40watts on its single outputs. At the moment of receipt it was equipped with Tung-Sol 6SN7 input tubes and Mullard EL34 power tubes. 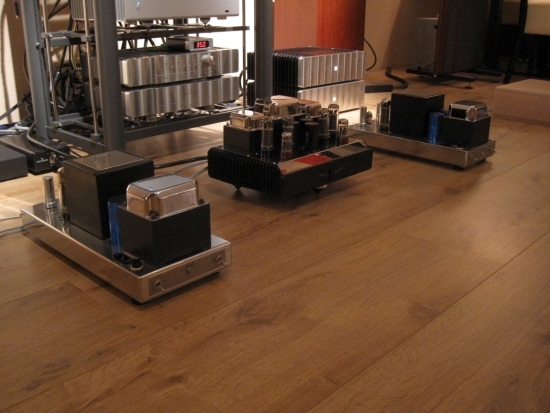 In came the Jadis JA30’s from a friend, equipped with factory-standard KT90 tubes. I figured it was better to compare like with like and even though the JA30’s are much more expensive that the TransTRAC (8000 euro versus 5400 euro) still it was a closer match than to compare with my model sixes. The JA30’s were connected using the same interlinks and powercable and they also need some warmup time but I had the feeling that they were up to speed much more quickly. Right at the beginning and just after powering them up they already sounded a great deal better than the TransTRAC: more emotional, more spacious, more living-and-breathing,also much more of a whole and therefore more engaging. The JA30’s had less articulate bass but on every other aspect I found them to be much better. Near the end of the listening session, at around 02:00 AM we started playing several deep house tracks at loud volumes through the TransTRAC and enjoying it very much. The sound was very involving and no matter how loud we played, the amp never gave in. 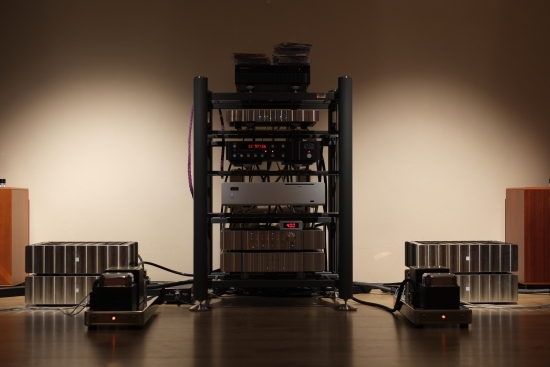 Remember that we’re still talking about a 40-watt tube amp driving a pair of Apogee Duetta Signatures! By now my opinion of this amp was pretty positive. 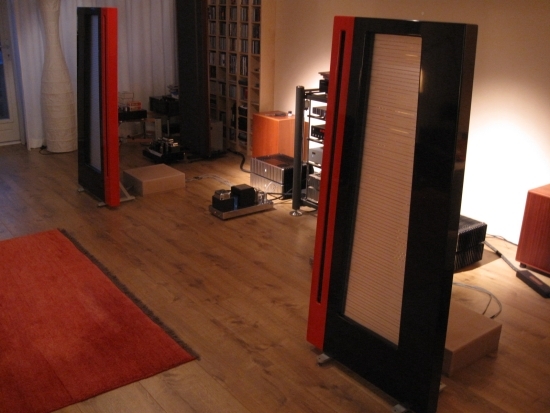 However on another day during the next listening session with another visitor, playing some classical music, it was painfully evident that the amp didn’t supply enough power to bring the Apogees to live as they should, resulting in a sweet sound but with flat dynamics. 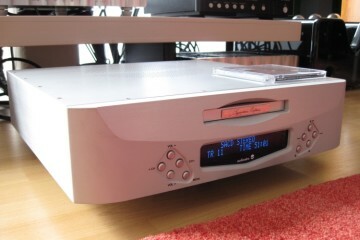 Switching to the model sixes restored this balance and made the music more engaging. But of course this is asking too much of this fine amp. I should use it with much more sensitive speakers. But as there are many other reviews waiting with higher priority, I will have to leave it at this. This review was done a little quicker than is the norm for me, but I have a long list of reviews to do and this one (fun though it was) isn’t top priority, so please forgive me for cutting some corners. The Jadis JA30’s really surprised me. In an earlier review complete with the owner’s JP80 preamp and combined with the Martin Logan SL3’s, the sound was lush and rich but very slow and lacking drive and attack. 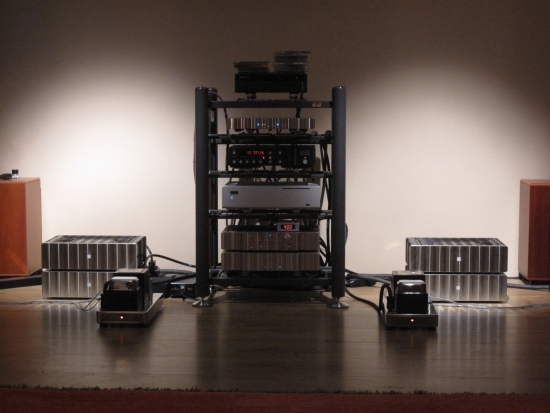 Now, many years later, with the Apogees and minus the JP80 preamp, the JA30’s come back, with a vengeance! They are much better than I thought they were: not only are they emotionally engaging, they can also pack some punch. They are pure emotion machines: not perfect (lacking some bass precision/articulation and midrange focus) but they get the emotional message across 100%. Also, they have airy and extended treble and manage to sound more forgiving than my Rowland model sixes on the Apogees. The latter, admittedly, can be a little rough and hard in the upper midrange/lower treble, which I attribute to them being revised with new Graz membranes and new filter components. While both the TransTRAC and JA30’s coped admirably, neither should really be partnered with these Apogees. But still I found it a fun excercise! The Audio Aero TransTRAC, with new tubes, are on some parts even better than the JA30s: more dynamic and with better bass drive and snap. Also this amp has slightly better focus and a more forward sound than the JA30’s. 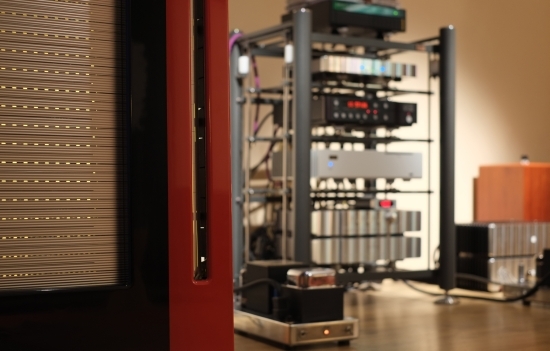 Either tube amp renders an enganging picture and I must admit that even if I still don’t like tubes for their impracticalities, they do indeed seem to be able to provoke magic from speakers more easily than even Jeff Rowland power amps. The model sixes on the other hand have better soundstage layering and focus, tigther, more articulate bass and even more extended (airier) treble which is actually more finely resolved then either tube amp. They are absolutely never coarse or otherwise “transistory” but the JA30 (and TransTRAC alike), while less precise, are clearly more forgiving, and actually make for a very synergetic match with the Apogees. I imagine that beefier tube amps or a combination of Rowland on the bass and tubes on treble could possibly be heaven. Above: Lighting conditions are poor but just about doable for my simple Canon Ixus 980IS camera. But once you compare my photo’s with those made with a friend’s very costly Fujifilm camera, the differences are clear. It’s mostly in bad lighting conditions though that camera quality differences are clearest.